Welcome to our tour stop for Friday. 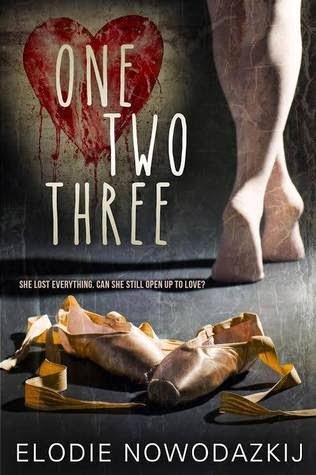 One, Two, Three by Elodie Nowodazkij is a YA contemporary romance and this book had me with ballerina and no hope. 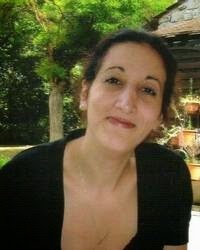 Check it out, read the excerpt, and enter the giveaway. Thanks for stopping by and have a great weekend! “What are you doing here? What happened?” I ask him, raising my hand to his face, but dropping it before touching him. I have no clue what I’m doing. Tonio takes a step forward and almost falls. He holds on to my shoulders and up close, his breath stinks of tequila. “Princesa, I’m so happy to see you,” he slurs. “Tequila? Here? Really?” My eyes dart around to make sure no one is near us who might overhear. I’m not quite in the know about public schools, but I’m pretty sure being drunk here would get him into a lot of trouble. “¡Arriba, abajo, al centro, pa’ dentro!” he says and cracks up. I have no idea what it means, but his shoulders shaking from laughter reminds me of Mama when she turns into a mean drunk. “Can you be more stereotypical?” I spit the words out even though seeing him like this hurts my heart. I’ve spent too many nights cleaning up after Mama, making sure she doesn’t do anything stupid or choke on her own vomit. He’s way too close for me to think clearly. I do want to help him but I need to be able to concentrate on something other than my anger to do so. I try to slip past him but he encircles my waist with his arm. His touch reminds me of learning how to master a grand jeté. Electricity ripples through my entire body, and I hold my breath for a moment before letting myself simply be in the movement. “I’m…so…sorry.” His unfocused eyes hold too much sadness for their own good, and it’s like seeing Mama all over again. I can’t do this. I wiggle out of his sort of embrace, and he slides down to the floor. This sounds like a great book! I definitely want to read it! This sounds really interesting! I am definitely going to have to check this book out.